KS Certificate acquired,News,Rockpower - Fluid Handling Equipment and Machine Parts. After 2 years preparation, Rockpower passed official audit from Korea Standards Assiciation (KSA) for our quality management systrm and product test from Korea Testing Certification (KTC) for Scrwed type malleable iron pipe fittings (KS B 1531), we acquired the KS Certificate successfully in July 2011. 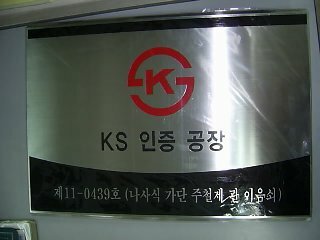 Launched in 1962,the KS certification system has been operated for as long as the history of Korea’s industrialization. Just as the industrial structure develops into a highly sophisticated, knowledge-intensive industry in the 21st century, KS certification is also preparing for the future. KSA expands the KS certification in the future promising industry as a new growth engine sector.